American singer, songwriter, and Hollywood actress Carrie Underwood is set to receive a star on the Hollywood Walk of Fame. On Monday, the Hollywood Chamber of Commerce announced that the seven-time Grammy Award-winning singer will be honored with the accolade on Sept. 20 in front of the Capitol Records building. Simon Cowell, who was a judge on "American Idol" when Underwood won the 4th season of the reality competition series, and Underwood's CMA Awards co-host for the past 11 years, Brad Paisley, will both be on hand as guest speakers at the event. 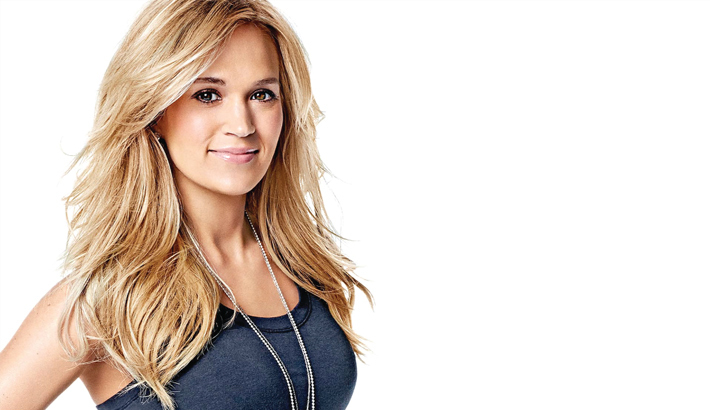 Since winning "American Idol" in 2005, Underwood, 35, has gone on to earn six CMA awards, 18 CMT Music awards, 12 American Music awards in addition to her seven Grammy wins. The country superstar is set to release her latest album "Cry Pretty" on Friday. At the same time Underwood announced that she would be embarking on the "Cry Pretty Tour 360" in May 2019, she also revealed that she and husband, Mike Fisher, are expecting another bundle of joy. "Mike and Isaiah and I are absolutely over the moon and excited to be adding another little fish to our pond!" Underwood shared on Instagram on Aug. 8. "This has just been a dream come true, with album and with baby news and all that stuff. We're just so excited, and just so glad that you guys can share in this with us."